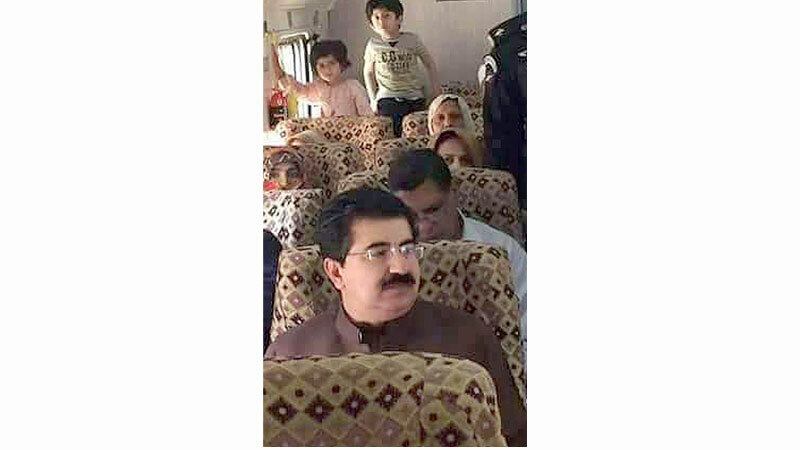 Senate Chairman Sadiq Sanjrani Sunday opted to travel to Lahore on a train in his first trip to the city since he took the post. Sanjrani departed from the federal capital in Rail Car train on Sunday morning and reached Lahore after a few hours. Upon reaching Lahore, Sanjrani was received by Railways Chief Executive Officer Javed Anwar and other members of the department. While speaking to media at the occasion, Sanjrani told journalists that had come to Lahore to pay a visit to the tomb of Allama Iqbal. The Senate chairman will visit Allama Iqbal’s tomb and Data Darbar today. Previously, President Mamnoon Hussain had travelled from Lahore to Rawalpindi in Subak Kharam Express on July 20, 2017. The president remarked that his trip was aimed at promoting rail travel among the people.